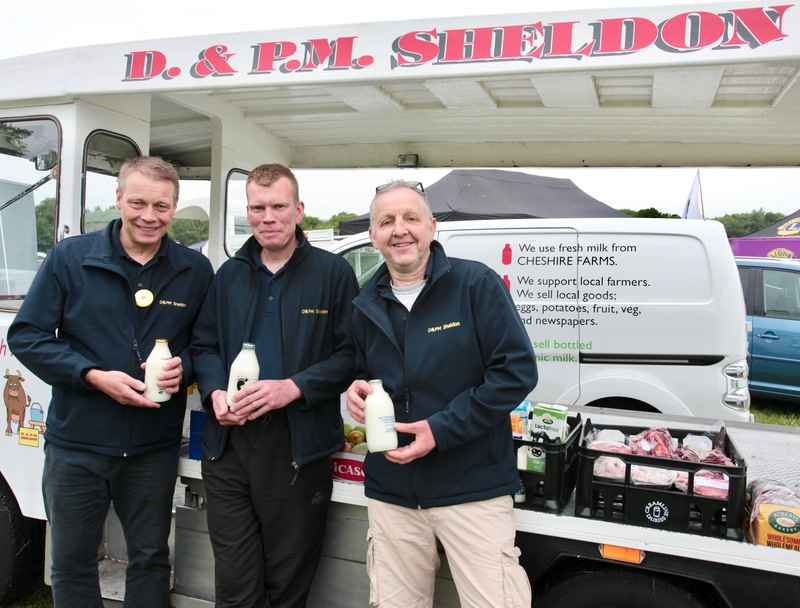 David Sheldon started out in 1957 buying his first milkround in Atherton. Then eight years later in 1965 sold his round there to Asssociated Dairies later to become the supermarket ASDA. Seeing an opportunity in an expanding Knutsford bought a round off a retiring milkman Pete Stammers in the Bexton area and worked out of Whitehouse Farm, Bexton Lane. Together with wife Pamela worked seven days a week expanding the business as Knutsford grew David moved to larger premises on Thorneyholme Drive behind Randle's Smithy and the Fryery fish and chip shop which is now a housing development called the Shambles. With the help of George Sherman the business grew to eventually twelve rounds delivering to approximately 4,000 customers so more space was needed and the land on Hollow Lane became the garage to park the vans. During the 1980's home delivery of newspapers and magazines were added to the daily deliveries offering a seven day a week service. With the rise of the supermarket David countered the competition with an ever expanding range from delivering dairy products to winter fuels, bedding plants, compost, fertilizers, bottled mineral water, fruit juices and household goods. With sons Chris and John and son in law Steve, David slowly retired leaving the day to day running to them ably assisted by Pat with over 40 years working for the company and Diane. Currently we operate 16 rounds delivering to 5,500 customers with 23 hard working employees (Graeme Wood - 42 years service) from our premises on Parkgate Industrial Estate, as we out grew Thorneyholme Drive and Hollow Lane sites 17 years ago. Delivery expanded from Knutsford and Mobberley to Wilmslow, Alderley Edge, Chelford and surrounding villages then up to Lymm and surrounding villages. The next chapter for the business is starting with a new website, adding pet food and teaming up with local butcher and fruit and veg wholesaler to offer quality local produce at a competitive prices with free delivery. Also having installed a 40kw solar system on the roof which has cut our energy use by 40% and operating a fleet of electric vehicles we offer a truly green delivery service for the future.